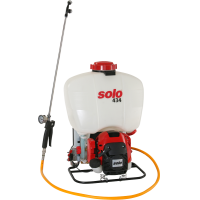 This high-pressure sprayer from Solo with 18 l capacity reaches a controlled operating pressure of up to 20 bar, enabling it to achieve fine spray mist applications, even at extreme heights. At 20 bar, it can achieve a flow rate of 1,9 l/min. by the push-pull piston pump. A practical drain connector at the bottom of the container enables all residual liquids to be drained completely. This sprayer is equipped with a 60 cm stainless steel spray wand and a pressure gauge on the sturdy quick release handle, which allows the pressure to be matched to any application. Supplied with a high-grade double flat-jet nozzle, with stainless steel nozzle screens. 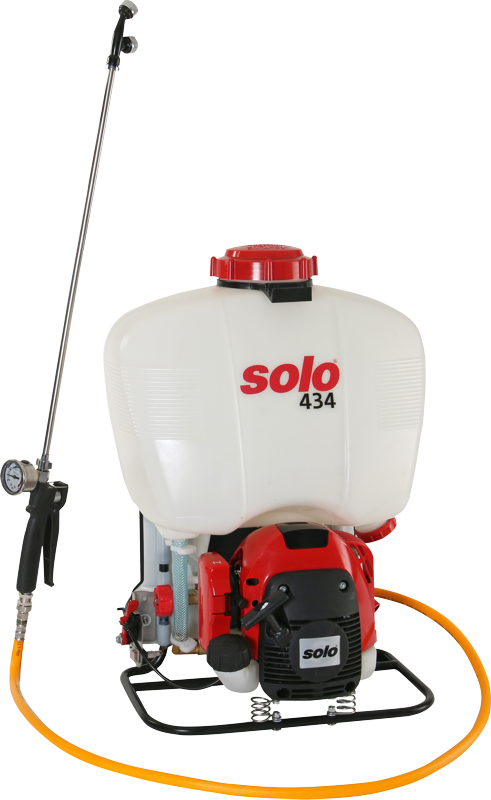 Unleash the true power of this motorised sprayer with the right accessories.